We are getting ready for our Fall collection, Fiddle. Many of you will make the decision to re-enroll based on how your child acted in class during past semesters. Was she having fun? Did she run around the room the entire time? Is she getting anything out of it? Did she participate? Or a common concern; she used to participate, but doesn’t anymore. Changes in the level of a child’s participation may seem problematic and sometimes even frustrating. It doesn’t necessarily mean she is not having fun. This is natural and even necessary for a child developing a sense of self-awareness through music. I led a class recently in which two older children were enrolled who were both of a similar age. The other kids in the class were a bit younger than they. Both children participated throughout the semester, apparently no different than the other kids. However, towards the middle of the semester, both children seemed to stop participating, sporadically. They would stop singing, stop moving and sometimes stand perfectly still. It may have seemed as though they were not interested during stretches of each class. What was really happening was that each child began watching the other closely. While one would sing, the other would stop singing or moving and stare at the other child openly observing. Then they would switch. The other would sing and move openly and the first would openly stare. 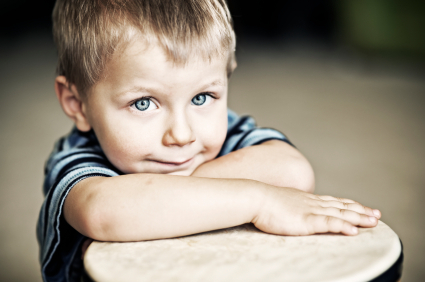 Children do start observing more as they become more aware of their surroundings. When this happens, they may participate less in class. Your child might notice that her own singing and moving don’t always match what she hears and sees around the room. By carefully evaluating what she hears, she learns to adjust and refine her own musical expression. It is common that a period of intense observation by a child precedes what some call a musical ‘break through’ in reaching basic music competency. Don’t be discouraged by a seeming lack of participation! Your child is learning from observing others and more importantly, by observing you enjoying singing and dancing.